Thoroughbred racing has a drug problem and, collectively, we hold the blame, yet we can fix it. I personally do not care about semantics, misinformation, mischaracterizations and hurt feelings. Let me restate: I do not care one bit. I care about horses, horse racing, and the owners who have skin in the game, who put up their money, their hopes, their desires, their time and their dreams. 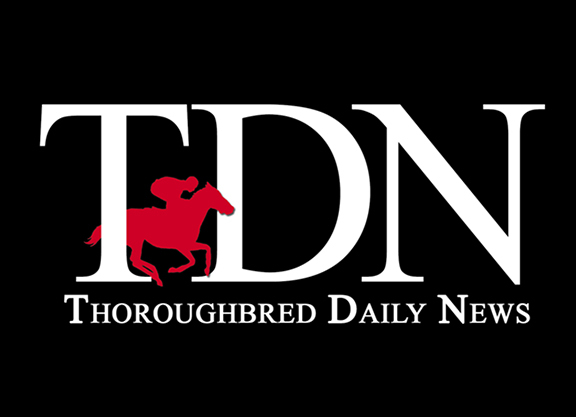 Jockey Club Executive Vice President and Executive Director Matt Iuliano had the guts to speak out in a recent letter to the editor to the TDN [click here], arguing that those opposed to medication reform base their position on “the bedrock assumption that everything is totally fine in the realm of Thoroughbred medication regulation.” I agree with Iuliano. That assumption is totally false. Horses do not medicate themselves. Horses do not go to pharmacies and prescribe medication to themselves. Any horse that tests positive for any medication has received that medication from a trainer, veterinarian or someone involved in racing. I have been a race track veterinarian for 30 years and have been breeding horses for almost as long. In addition, my family has been racing those horses for as long under Tri-Bone Stable. With us, medication has never been an issue because there is rarely a diagnosis other then a serious case of the “slows.” which has always been treated with a bill of sale. These horses are rarely treated, almost never pre-race treated, never have joint injections. They do, unfortunately, race on Lasix because we don’t want to be at a competitive disadvantage. Many get weekly injections of Adequan. One of our horses recently had a medical issue before a race that required a steroid anti-inflammatory that, due to testing, could not be administered. I consulted with two other vets in the state that has medication rules I am not clear on. The only option that was legal was 10cc of Bute (2000mg) or 10cc Banamine(500mg). I chose Banamine and called both vets but they were at another track. A third vet was called, and walked into the barn with a 35cc syringe filled with 15 cc (750mg) of Banamine. I told this vet who I was, who the horse is, the race he was in and the post time. I questioned him a second time, and then asked the vet again, can you administer 750 mg? I was told that there would be no problem. Still, I asked the vet to spill in the shed row 6cc, and administer the rest. I revisited this with the other two vets, racing officials and those responsible for the drug testing. I was told by the head of drug testing program that the horse, if administered 750 mg. of Banamine, “would be in serious jeopardy of testing positive,” which contradicted what the vet had told me. I am not happy with any of the four possibilities, and neither should any owner. I am tired of the influence and damage of third party individuals that have no skin in the game and only take from it, and this needs to come to a halt. I have three recommendations that need to be implemented immediately by both trainers and veterinarians. The bottom line is that the industry has to be a lot tougher than it has been when it comes to drug and medication issues. Recommendation #1: Baseball Rule: 3 strikes and you’re out. c) Each owner must relocate their horse or horses in another trainers barn, no assistants or relatives. a) You’re out of racing. Period. Recommendation #2: Random confiscation of loaded syringes before administration of medication. The vet is to be paid for the medication in the syringe. Each syringe is to be bagged and signed off by the vet as to its content, amount and dossage. If there is a difference between what is reported and what is tested then the baseball rules apply. Recommendation #3: The Hong Kong Jockey Club must be used as a model. No more third party veterinarians. All vets work for the association and are paid by that association and all get their medications from a common pharmacy. 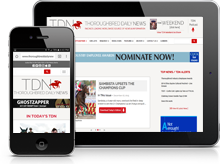 Owners have the ability to make these changes for the betterment of horse racing. If a third party individual will push the boundary for you then it’s being pushed for all others. Therefore, the only ones that suffer are the horses, the owners and the betting public. Russell Cohen is a veterinarian at NYRA, a breeder and the manager of Tri-Bone Stable, known for their success with GISW and 2015 GI Breeders’ Cup Classic runner-up Effinex (Mineshaft).